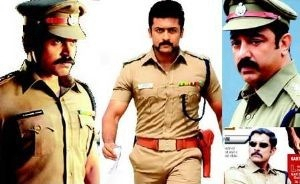 Any true blue Kollywood fan knows that an actor's career is incomplete without him playing cop on screen. A story is incomplete without the boss in it! Which is why, Alex Pandian from Moondru Mugam tops our chart of cops. Alex Pandian, the father of all cops that reinforced Rajnikanth's steadily burgeoning star power and proclaimed him as the style icon of the generation. The slight tilt of his lip with the crowbar mouche, replete with th zoop-zaap sounds emphasizing his hand movements - it wasn't just a khaki he wore. It was sheer power and class that showed off on his uniform, puffed out chest et all. A classic example of bad boy gone good, Alex Pandian is a cop not to be forgotten. Who can forget the very charming DCP Raghavan? The gritty and gutsy Kamal turns a million heads with his finely calibrated performance as Raghavan. He weaves dignity, grace and wit in and out of his character, making it impossible to take your eyes off him! 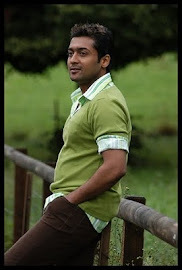 Surya made millions of girls go weak in their knees with his stunning performance as ACP Anbuchelvan in Kaakha Kaakha. Smouldering eyes, intense fight scenes et al, Surya gave way to a complete drool fest. He later came back as the very head strong Durai Singam, in the movie Singam where he packed a punch with a powerful performance.